Elements of Life is now available in digital form from Amazon. The paperback copy should also be ready for sale in just a few days. I have one poem in this anthology, "Now Then When." It's from the darker side of my nature, but just as real as more upbeat writings. 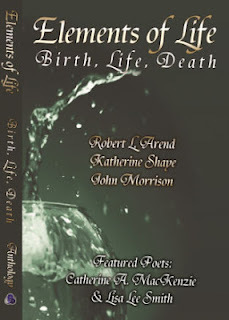 There are interesting short stories and more poems in Elements of Life. This book is not really literary fiction, rather, the stories are written for enjoyment.